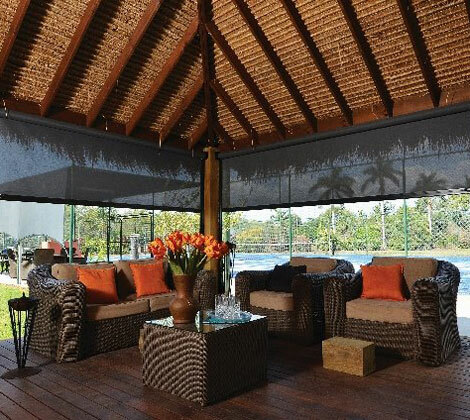 Folding Arm Awnings are great for shading windows from heat, especially in hard to access places. The Folding Arm pivots in and out, stretching your chosen fabric out and across the window to provide effective, heat reducing shade or retract it if you want to let the sunshine in. After a hot day, the afternoon sun can be mild making your outdoor area comfortably pleasant and, combined with a gentle breeze, brings a calm serenity into your home. It can reduce the cost of your home energy bills when you are able to manage how much, or how little heat you allow into your home, meaning you end up paying less for cooling. In winter, simply fold up the awnings and the warmth of the winter sun will comfortably and cheaply warm your home. 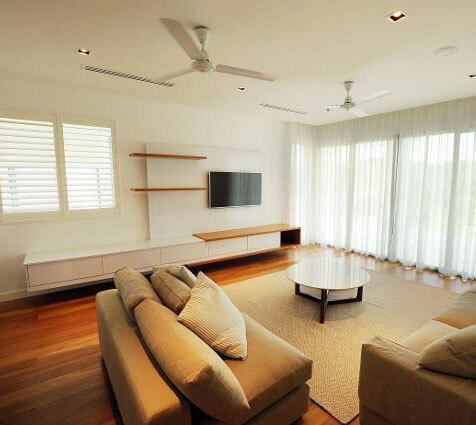 Straitline Blinds Pty Ltd promote the Lotus Folding Door Range, taking care of sales and installation of their range of products in the NT. Products include the vinyl folding doors and timberline folding doors for domestic applications and timberline acoustic accordion doors for some commercial applications. Lotus offers a one – five year warranty on all their products backed by our expert measuring and installation. Quality Australian products at competitive prices. Check them out and call us to find out more! Super happy with the results! Thank you so much for the wonderful service we have received from you all, we are very happy with the blinds! Thanks very much for the great service - the installers did a great job, very professional and friendly guys! Mate, just a quick email of thanks and acknowledgment to you and your team for the fantastic job that was carried out from start to finish with my new curtains last week. From the communication with yourself, Jo and the installers - it was a pleasant experience all round. The two lads you sent were "First Class" in every aspect you as the business owner would have wanted them to be.They were on time (early actually), very well prepared and equipped, cleaned up every speck of dust as they worked and explained to me how to clean / maintain my curtains. As a business owner myself, I am probably a little bit pickier than most customers when it comes to service employees ...... Well - full marks to these guys as they handled themselves very well and represented Straitline Blinds with perfection. 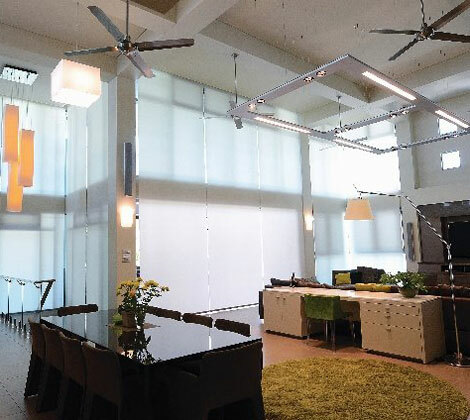 I would have no hesitation in recommending Straitline Blinds to any of my friends or family in the future. 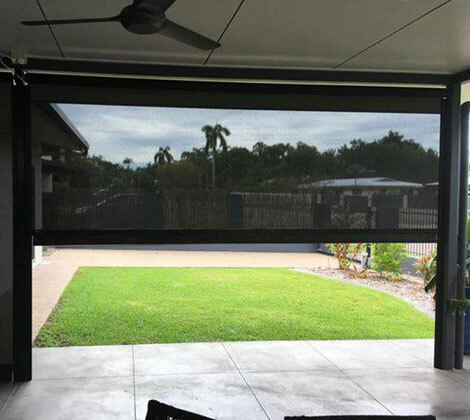 Straitline Blinds team installed Zipscreen Awnings in the suburb of Leanyer, transforming the outdoor space for full use all year around changing the concept of outdoor living. 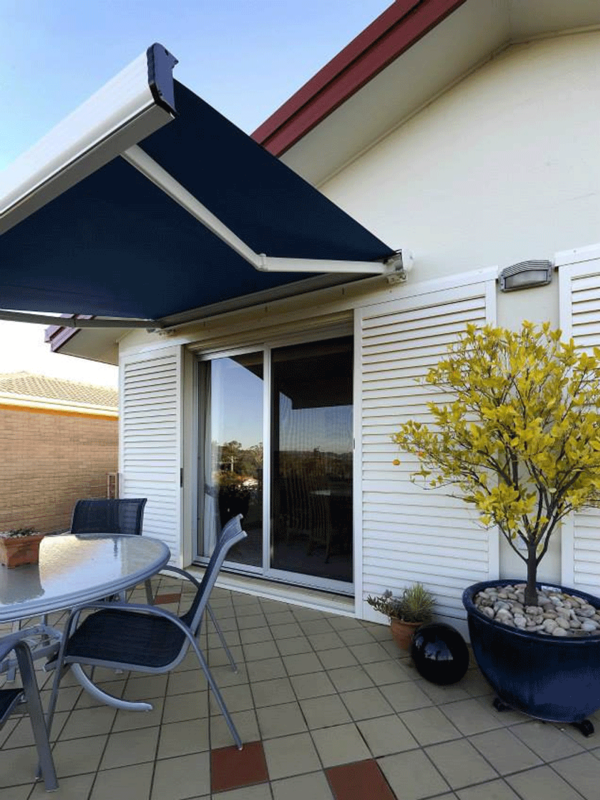 These awnings can be spring operated, crank operated, also motorised! Straitline Blinds has had the privilege of completing some special projects. 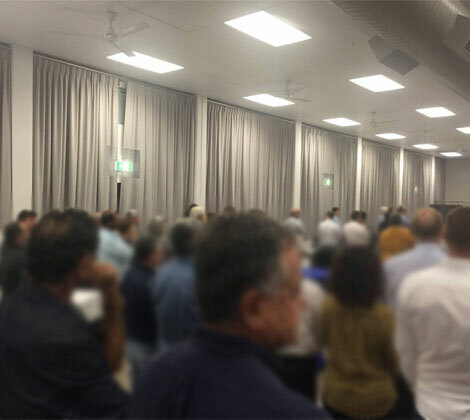 One such signature job was the installation of new curtains for the recently renovated Greek Orthodox Hall. 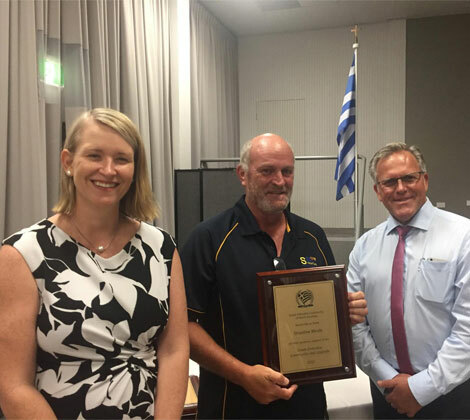 Minister Nicole Manison MLA presented Straitline Blinds owner Adrian Moscheni with a plaque recognising the professional work completed by his team in the installation of the new curtains for the Greek Orthodox Hall. Straitline Blind has completed a range of signature jobs across a variety of product types. Terms and Conditions | Copyright 2019 © Straitline Blinds Pty Ltd.